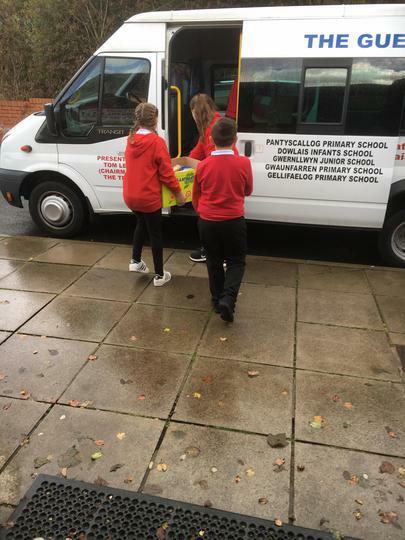 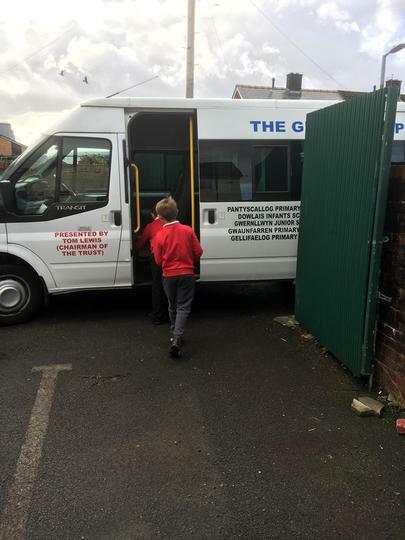 Year 6 pupils helped with the delivery of food items to the Merthyr Food Bank. 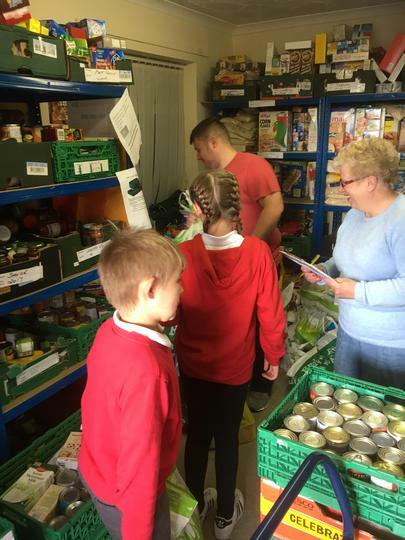 All the food items, over 125KG in weight, were donated by parents and pupils at Pantysgallog Primary School. 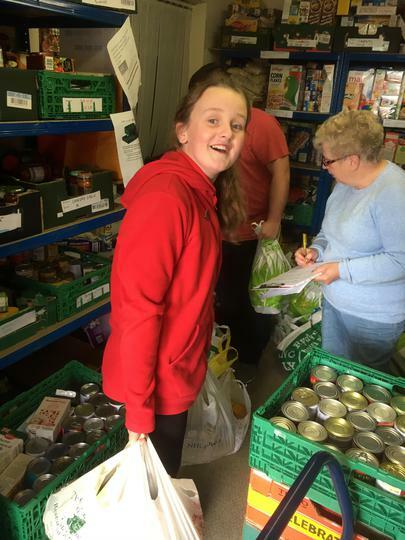 The items were delivered by Year 6 pupils, Millie Rae Hughes, Jamie Phillips, Aleesha Williams and Jay Davies along with Headteacher Mr Darren Thomas and Pastor Rob Davies from Elim Chapel, Dowlais. 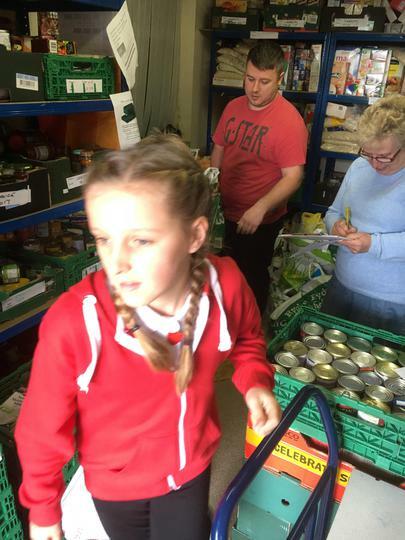 Last month alone the Food Bank supported over 400 vulnerable individuals.